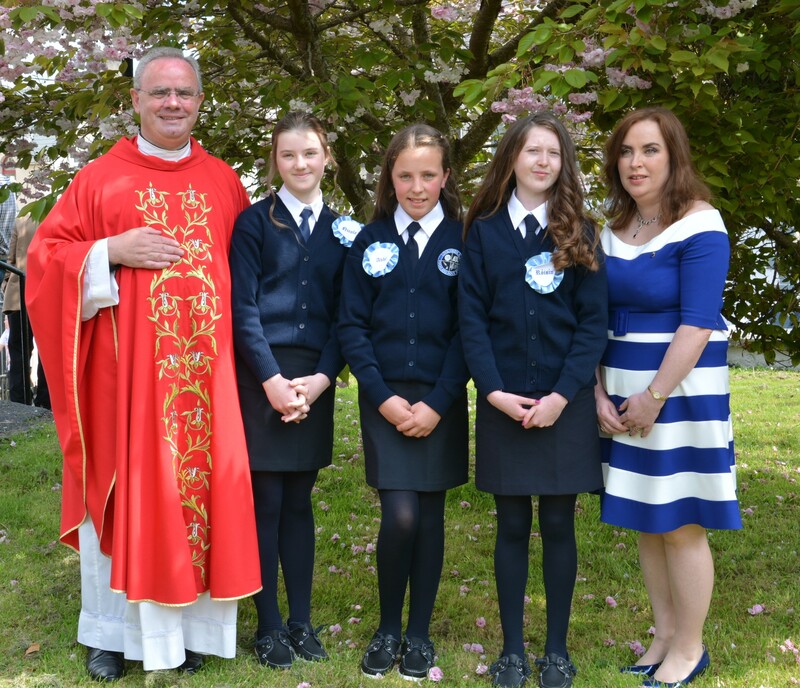 We congratulate the girls from Coolmeen who received the Sacrament of Confirmation on Pentecost Sunday, 15 May 2016 in St Michael’s Church, Kildysart. We pray that the Holy Spirit will always guide and protect them and their families. We congratulate the six children form our parish who received Holy Communion for the first time on Saturday, 7 May, 2016. We pray that the Lord will always be at the centre of their lives and continue to bless their parents, families, teachers and all who form part of their circles of love and care. We pray for the young people in our parish who are currently preparing to receive the sacraments of Reconciliation, First Holy Communion and Confirmation and for the parents, teachers and families. Celebration of the Confirmation on Pentecost Sunday (15 May) at St Michael’s Church, Kildysart. Posted on May 15, 2016, in Uncategorized. Bookmark the permalink. Comments Off on First Holy Communion & Confirmation 2016.